More details of Soul Bubbles and a review is featured a few news posts back. At 8GBP + Free Delivery (for UK) its well worth buying. It's not play.com that's selling Soul Bubbles. It's a 3rd party. Darkflame ? Did you played it ? Why do you say that it's this good ? Yes, I bought it full price, and its a little short, but apart from that a wonderfull game. Yeah, but why is it wonderful ? Its also a strong contributing factor in what makes a DS worth owning. Polaris - For me, its got a great design, and each stage chucks new ideas into the basic formula. Superb physics makes the environment feel alive and provide some very interesting puzzles. Oh, it seems Play.com is out of stock themselfs, so its now only avaliable elsewhere/second hand. Just a tip: There's no need to have a thread open both in News and in elsewhere. I thought it deserved a news artical after I posted the other thread. Do you think its worth $50AU (roughly equal to 20 pounds UK).? Yes, Id say its worth that. I bought it for around 35GBP myself, and dont have any regrets. Its a little short, but for 20GBP is well worth the money still. Yea, it probably didn't sell well because of the lack of appeal to its intended audience, that's something they probably got wrong in their formula unfortunately, Fred had that down as one of the keys to a game's success . From a shallow gamer like myself's point of view, this initially looks like a child's game with no real appeal. You have to look a bit further to understand its potential then I guess. But I'm definitely willing to give it a go, EB has these second hand, although I'm going to have a look around in other places first before to see if I can get it cheaper. Uni students need all the money they can get just to live . 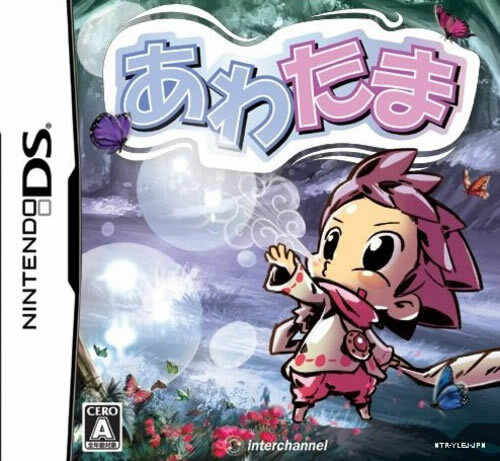 the soul bubbles game is rather enjoyable and it can be addicting i know there are times i want to just play for 10 mins and i end up playing a ton of levels for an hour or two. Definetly would recomend it. If you just got a DS, you got a stack load of quality back catalogue to enjoy too. I take a look at some videos of this new version and I simple prefer the original one. Still hope they success in that market. About the price in Play.com is amazing, here in Portugal the game still cost 39.90€ which was the price I pay when I got my DS as well a year ago.